Manchester United legend Paul Scholes took issue with Jose Mourinho’s celebrations at the end of the Juventus game this evening. The former Red Devils midfielder is known for being highly critical of Mourinho and for being an outspoken and opinionated pundit in general, so it’s perhaps little surprise that he didn’t like seeing Mourinho’s antics today. 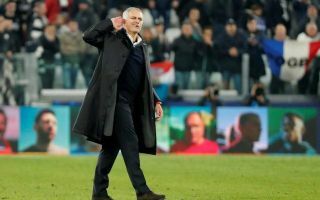 United won a thrilling encounter 2-1 in Turin with two late goals turning the game on its head, so Mourinho could perhaps not be blamed for getting a little carried away. The Portuguese tactician cupped his hand to his ear in a taunt to the Juventus home crowd, who he claims insulted him throughout the evening. Scholes, however, was not impressed by this behaviour, urging the manager to show a bit more class and simply shake his opponent’s hand and move on. ‘This is everywhere he goes. You need to win with a bit of class,’ BT Sport pundit Scholes was quoted by the Daily Mirror. That’s not the Mourinho way, however, and in fairness most MUFC fans will have absolutely loved that from the Special One tonight after a memorable Champions League result.